Tuesday, February 11, 2014 at 7:00 p.m. 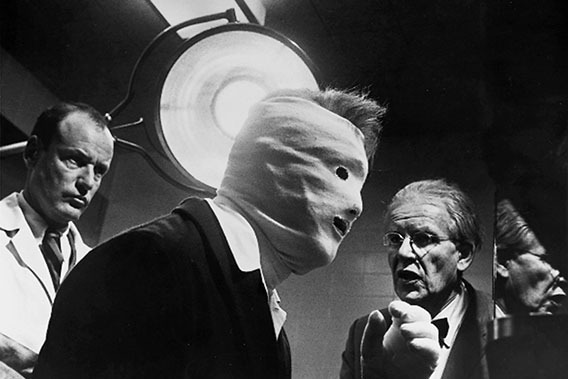 Directed by John Frankenheimer, 1966, 106 min. On many a January since 1997, Hallwalls has invited audiences into its cinema for a mid-winter program of film screenings under the title LONG NIGHTS, BRIGHT SCREENS. These have included international films, cult films, and films by artists, the most recent being a screening of Kings of the Sky by Deborah Stratman (who returns to Hallwalls for a gallery exhibition and media residency curated by Carolyn Tennant in May 2014). Q: When we spoke last, you were telling us that you selected these four films for both visual and thematic reasons. 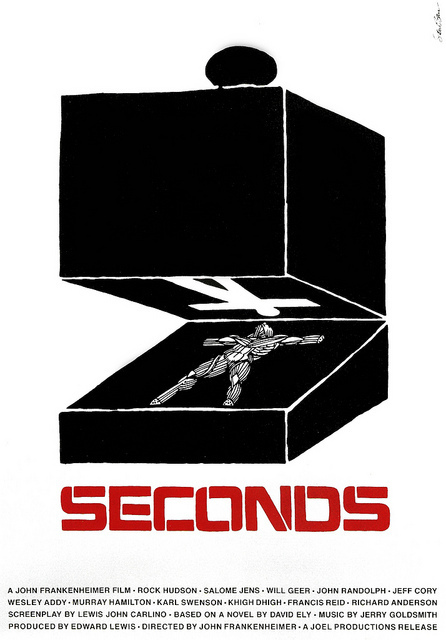 How does the film Seconds play into this rationale? 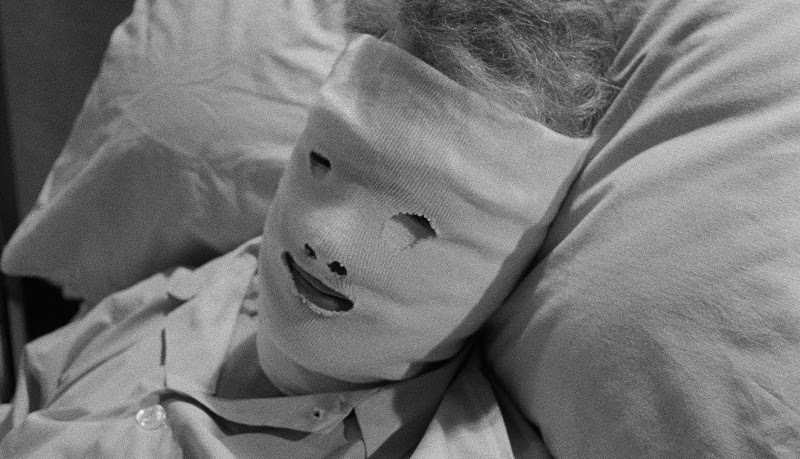 A: Despite the fact that Seconds was released in 1966, it’s still shot and presented in glorious b&w, which looks particularly great on a restored blu ray version.. With each of these films, I’m going to credit the cinematographer in equal measure with the director. In this case, the cinematographer is James Wong Howe who is perhaps most famous for his stellar and unforgettable work on 1957’s Sweet Smell of Success, though his work on Seconds is of equal merit. Q: You didn’t mention the director. A: (laughs) John Frankenheimer! 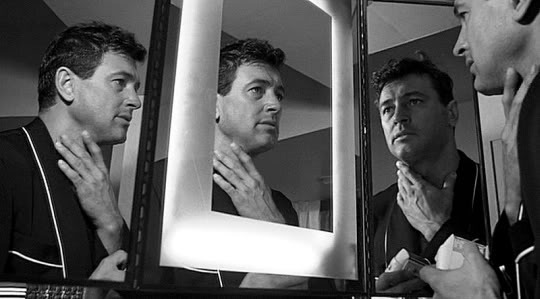 His best-known work may be The Manchurian Candidate from a few years earlier, which would also have been a great film for this series but, as I said last week, that would be going to the more obvious choice. 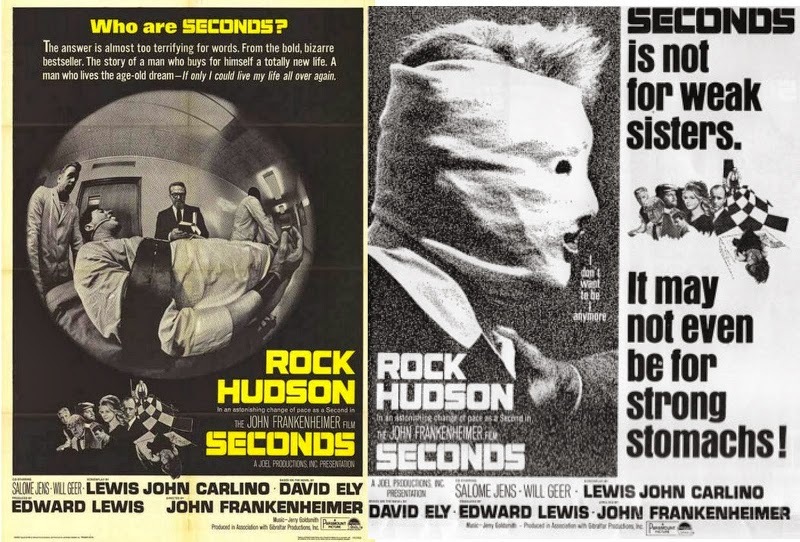 I thought Seconds was the lesser-known Frankenheimer film that fewer people would be familiar with. Q: By the mid 60s, color was the predominant palette in Hollywood films, but the b&w aspect of Seconds seems more appropriate to this story. 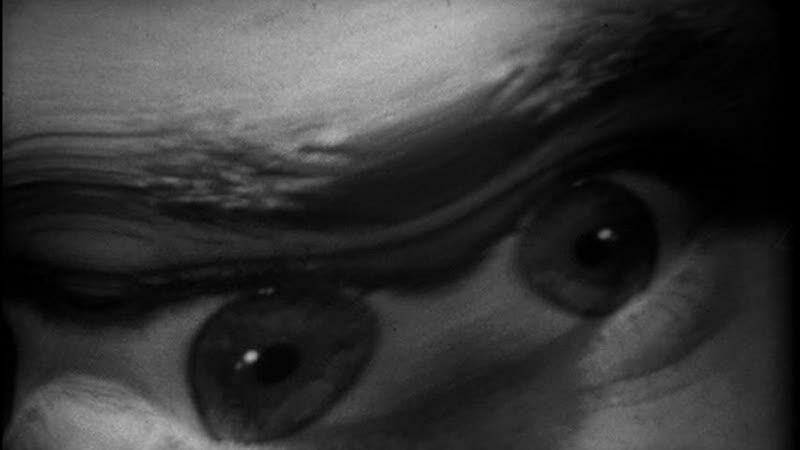 A: It’s very much like a feature-length episode of The Twilight Zone. The b&w photography keeps it at an appropriate distance from the real and plays nicely into the obvious camera tricks and torqued perspective that’s often employed. Q: What else appealed to you about Seconds? What about its sense of paranoia? 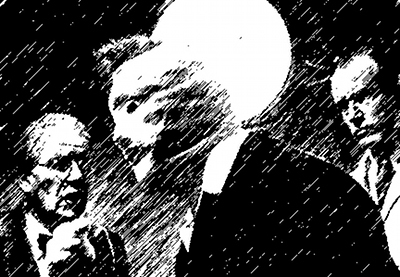 A: The paranoia in Seconds, as paranoia should be, is on a perpetual slow boil. A man, dissatisfied with his lot in life, pays a mysterious organization to set him up with a new life, complete with a new face. Charmingly, the new life he is given is as a successful Malibu painter, which will amuse any artist who ever tried to attain success. There’s no indication that our hero had to learn to paint for example, as his new life seems to also come complete with a ready-made body of work. Without giving anything way, it’s not too much to reveal that this new life does not exactly fulfill its promise. Q: That’s a primal theme, desire and unfulfillment.